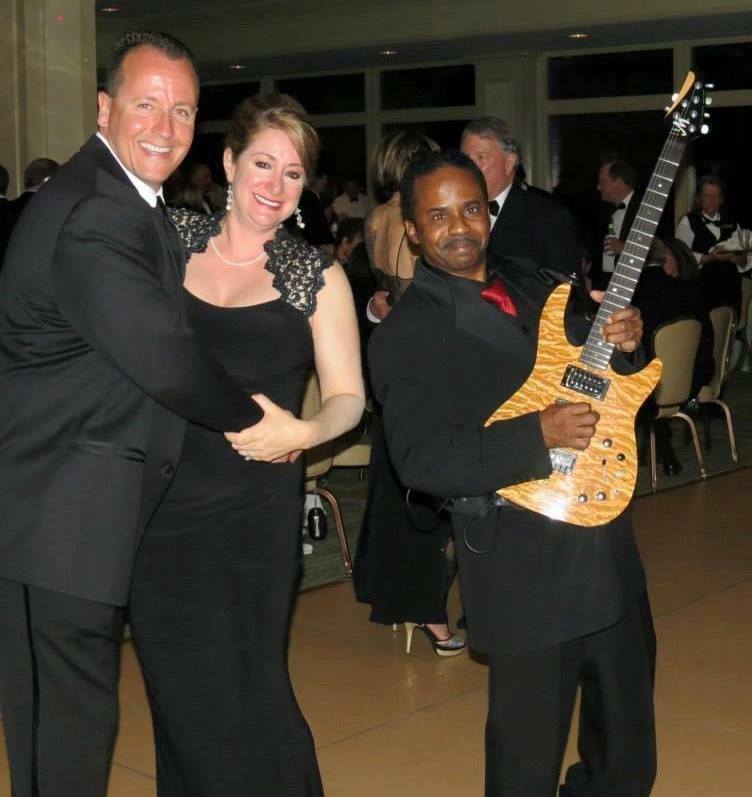 Black tie optional. 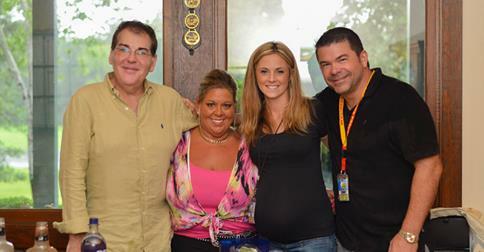 Food, drinks, live band, 50/50 raffle up to $10,000 and more. Tickets are $300 total for one couple. 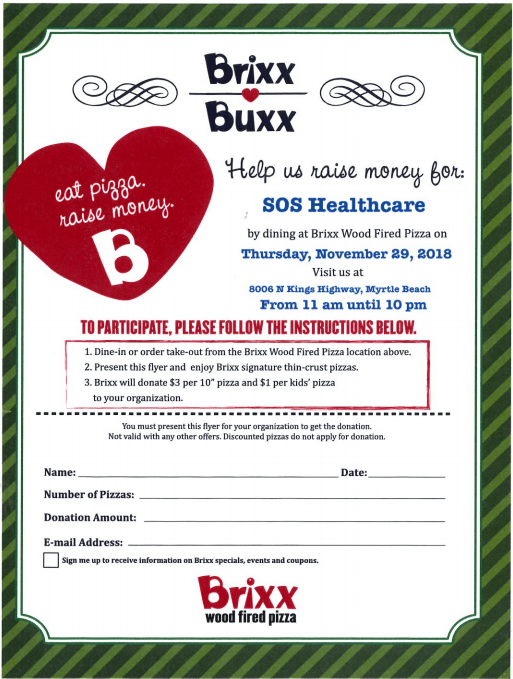 Proceeds benefit SOS Health Care's Myrtle Beach clinic and a scholarship fund for current staff wishing to go back to school to become BCBA's in our ABA program. 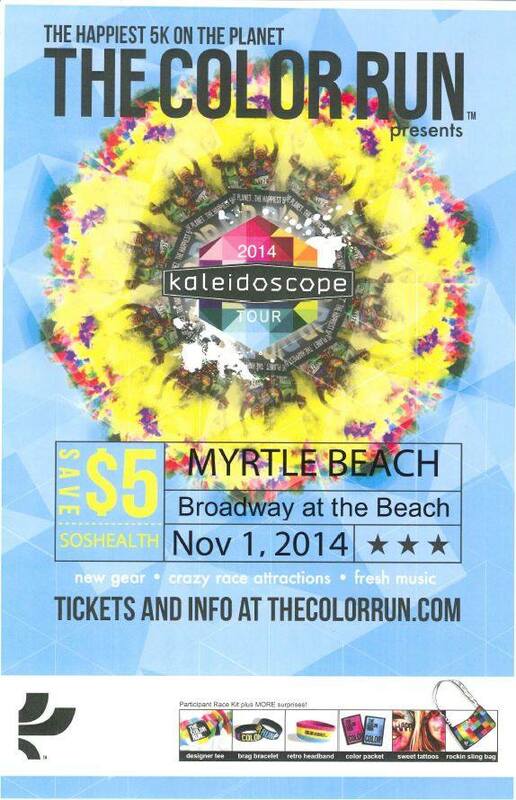 For tickets, call the office: 843-449-0554 and speak to Jamie Sullivan. Minds of All Kinds Autism Awareness Benefit hosted by the Academy for the Arts, Science, and Technology Students in Action to benefit SOS's Oak Tree Farm community. 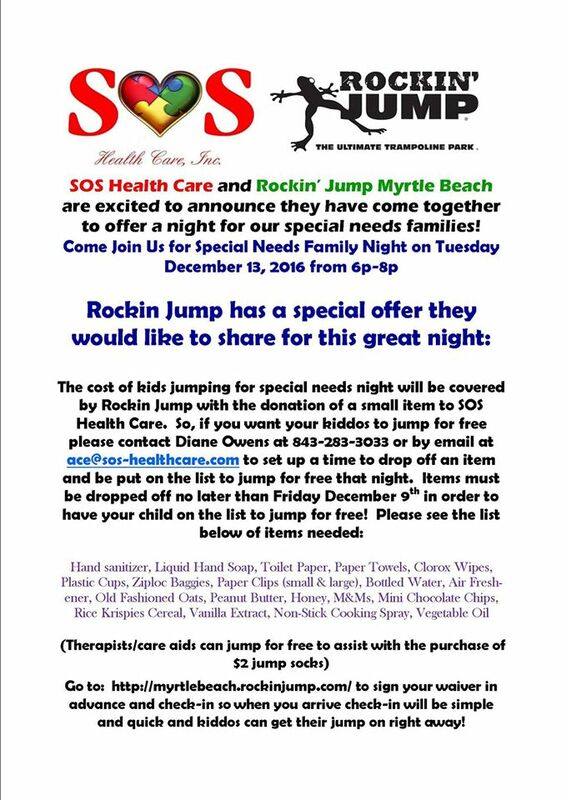 Event begins at 6:30pm at Dunes Gold and Beach Club and will feature a three-course dinner, silent auction, and 50/50 raffle. Business Casual Attire. $50 per person, $85 per couple. For tickets, email the students at [email protected]. 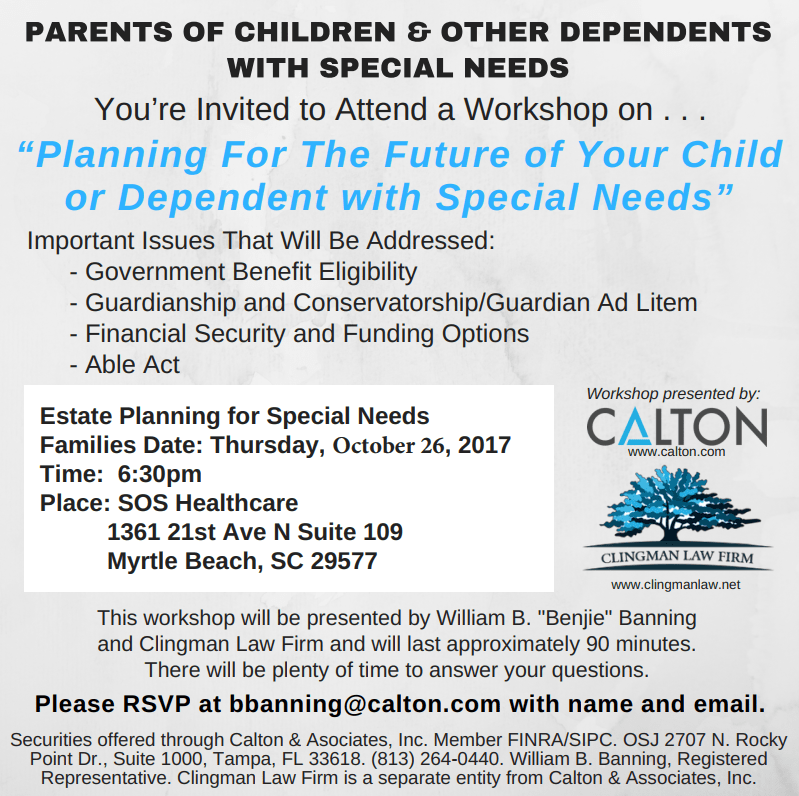 RSVP: Space is limited! 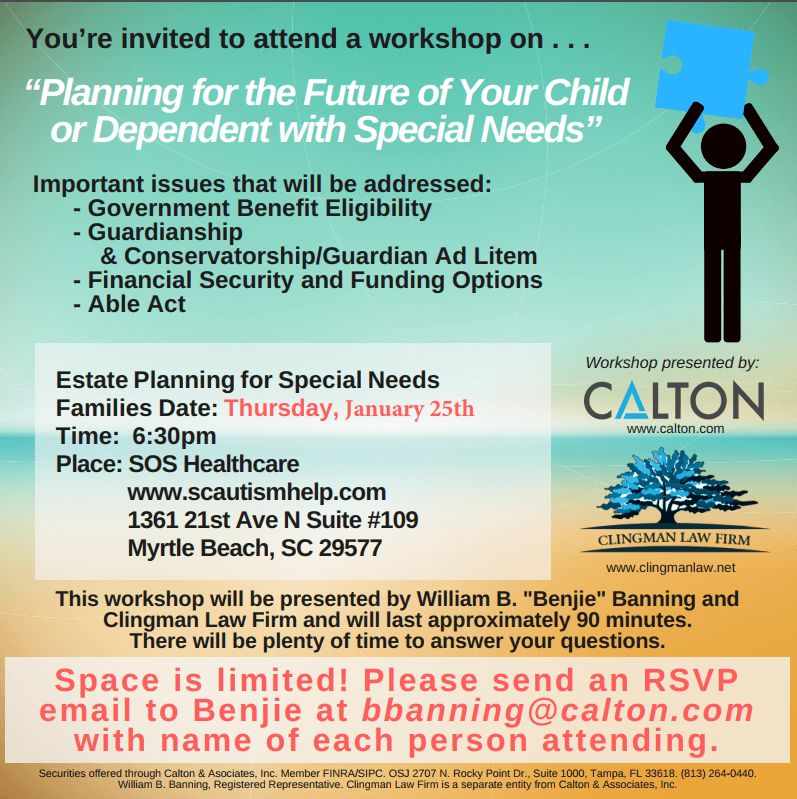 Please send an RSVP email to Benjie at [email protected] with workshop date & name of each person attending. 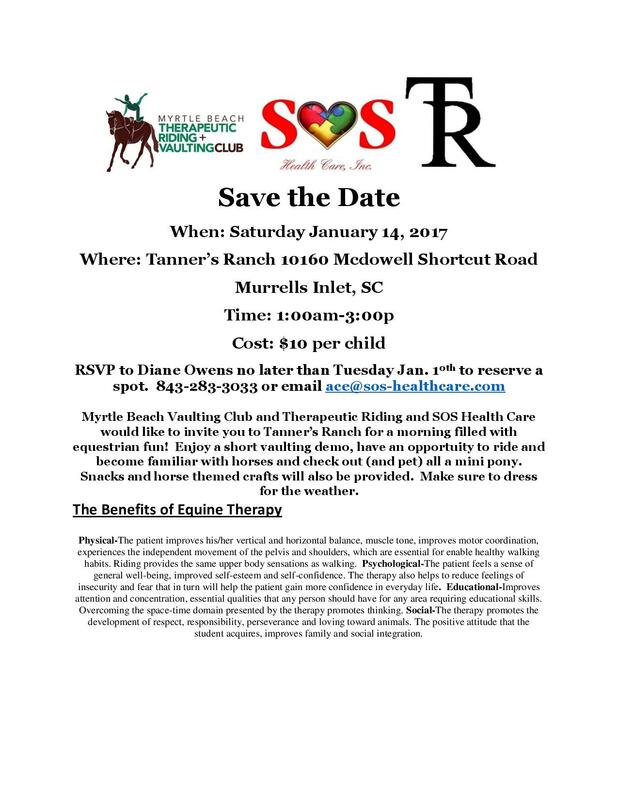 Valentine's Lunch at SOS Health Care in Myrtle Beach from 11:30am-2:30pm. The Life Skills program will be making food available for purchase, including meatball subs, baked ziti, hamburgers, and more. This is a great way for them to practice cooking and handling money. Handmade items will also be available for purchase including jewelry, sugar scrubs, candles, and more. 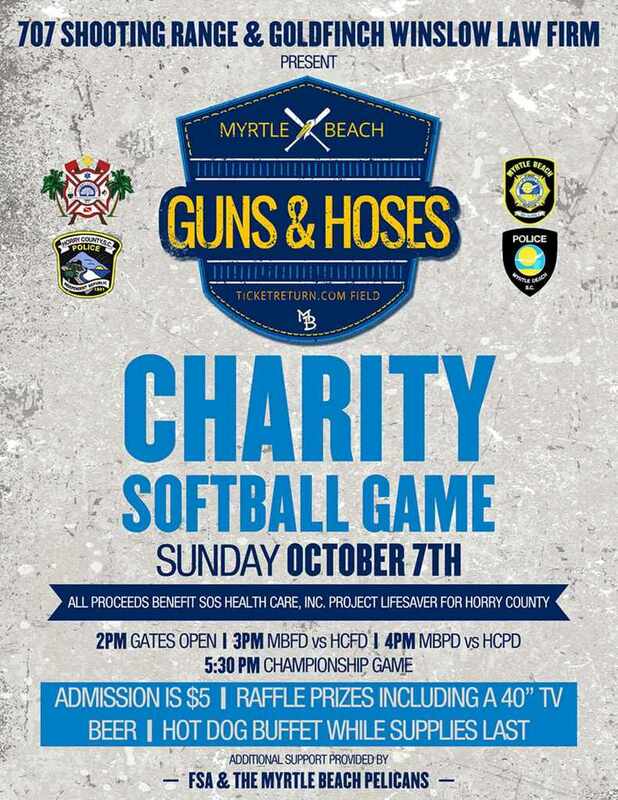 Address is 704 21st Avenue North in Myrtle Beach. Brightwater Sweetheart Run with the Holistic Health Program. Event begins at 9:30am. 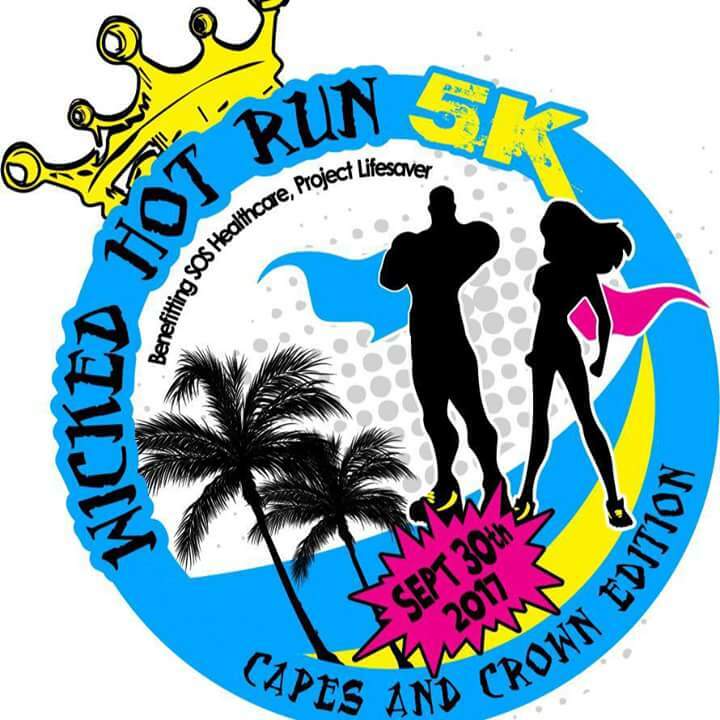 5K run/walk is $25 and 1 mile run/walk is $15. Sweetheart loop is free. Space is limited. RSVP to [email protected]. 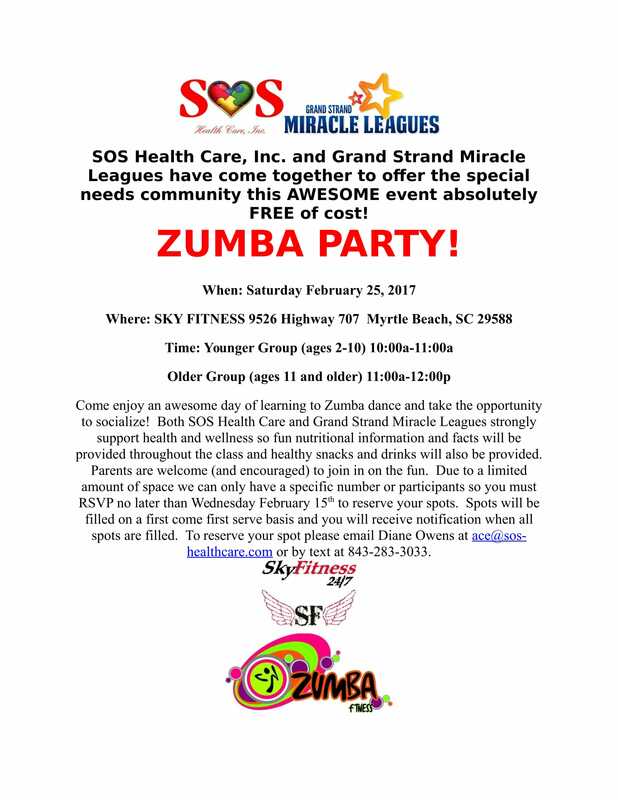 Having trouble viewing the flyer? Download the attached PDF. Come out and enjoy a day of awesome food and enjoy crafts stations for your kiddos outside. 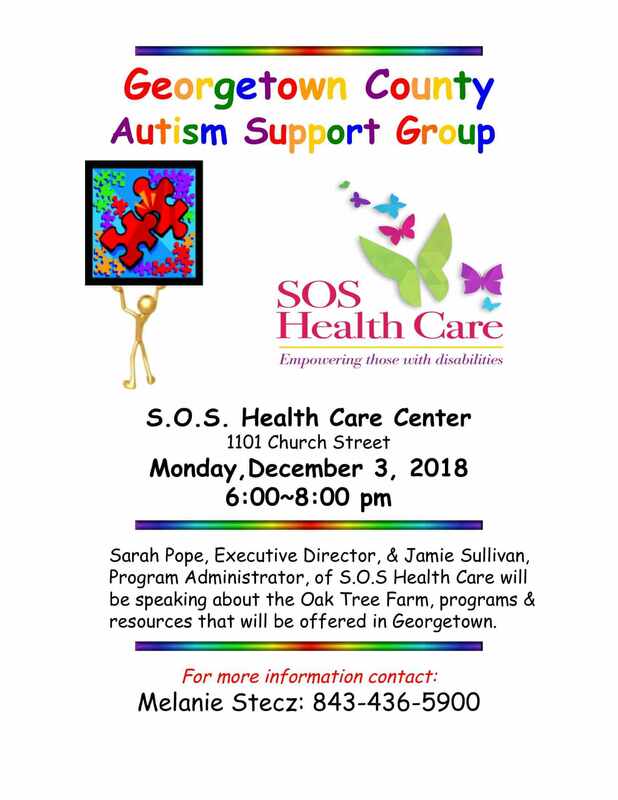 Come learn about the great programs SOS Health Care has to offer and enjoy an environment that is warm and welcoming to the special needs community! 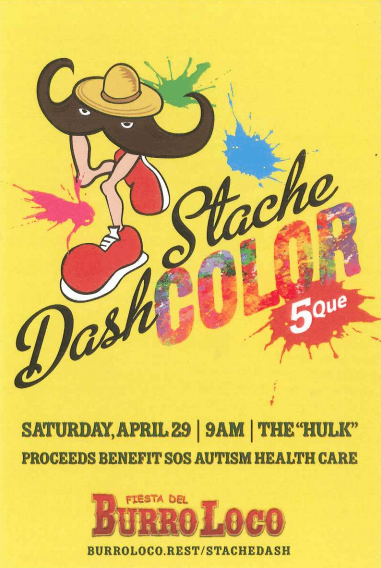 Show your support by wearing blue and you will even have the opportunity to purchase some awesome Autism Awareness merchandise at the restaurant. The food is out of this world so you don’t want to miss out! Take advantage of lots of games and activities in the beautiful gym the YMCA has to offer, go swimming with the family and even enjoy some downtime in their reading/arts and crafts room! 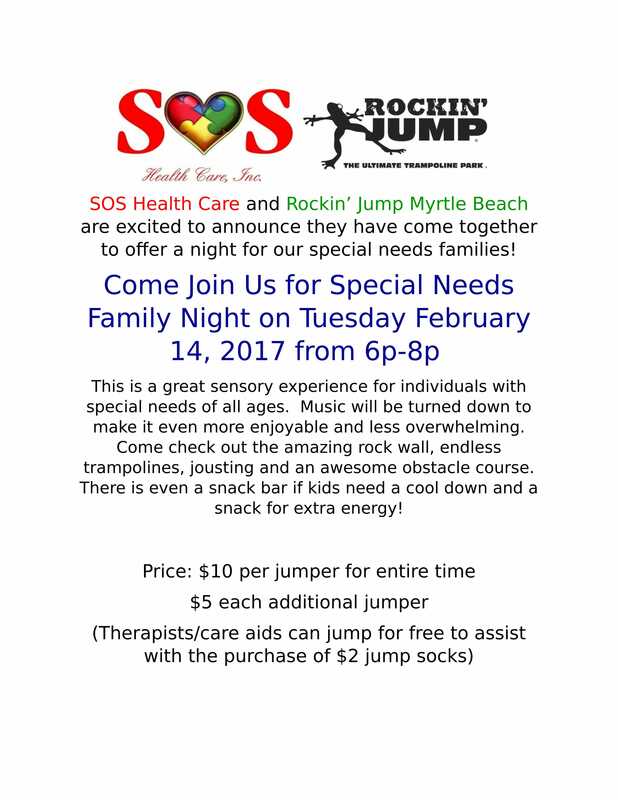 This event will be sensory friendly. 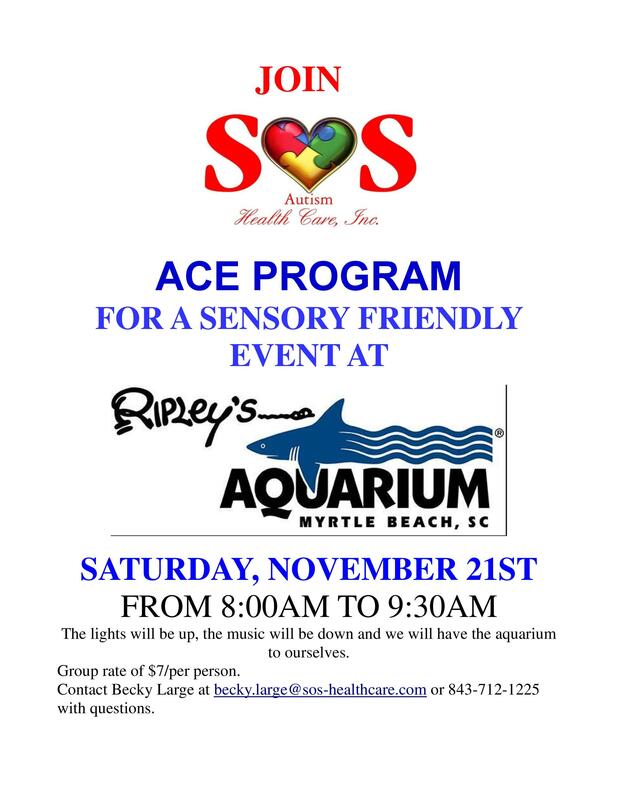 This is a great sensory experience for individuals with special needs of all ages. Music will be turned down to make it even more enjoyable and less overwhelming. Come check out the amazing rock wall, endless trampolines, jousting and an awesome obstacle course. There is even a snack bar if kids need a cool down and a snack for extra energy! 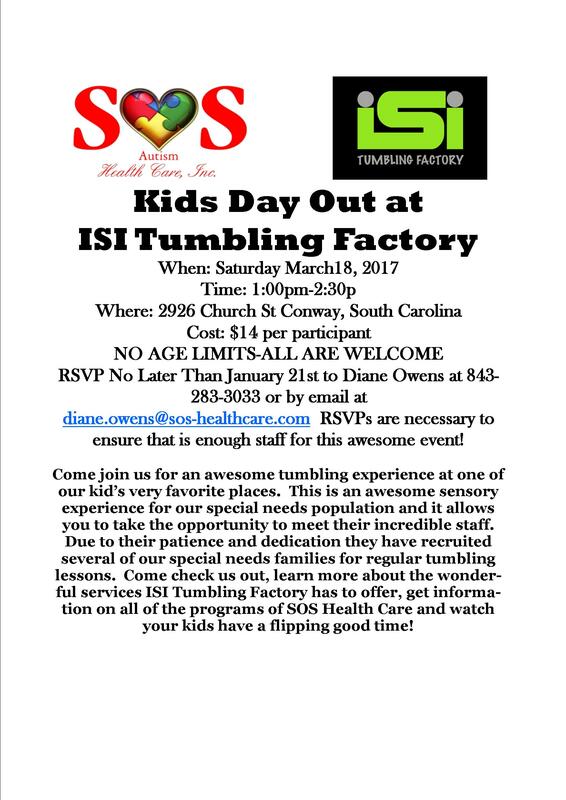 Admission will be $1 per person and children under 2 are always admitted free. The museum will have their Digitalis Planetarium blown up for brief viewings and classes for those interested. They will also have out a craft and activity in the art center. They are thinking a "Lego Painting" using our hard, soft, and car legos to dip in paint and make different designs and textures. For the sensory activities they will have out different sensory bins containing things like kinetic sand, dough, and water beads. 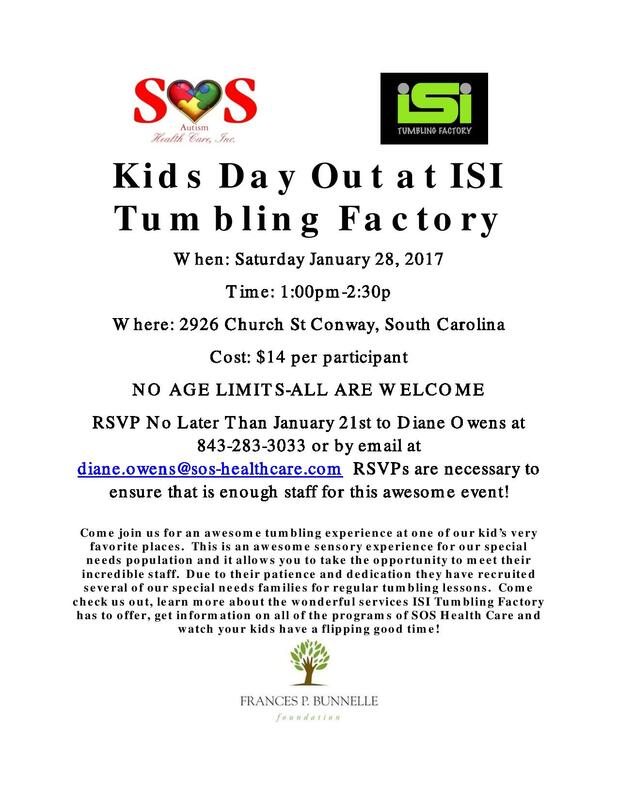 This is an awesome opportunity for the kids to come out and enjoy a day filled with super fun activities in a less crowded environment. 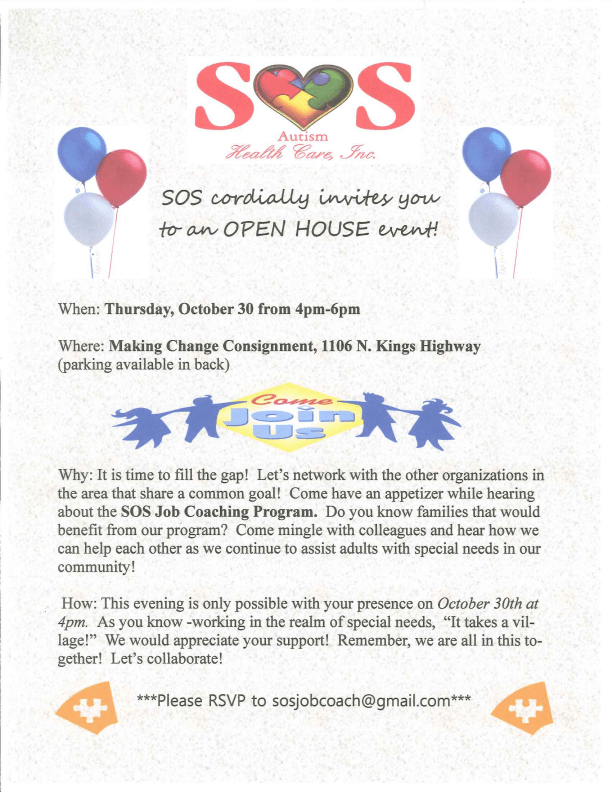 SOS Health Care will have a table as well with information about all of the programs we have to offer. 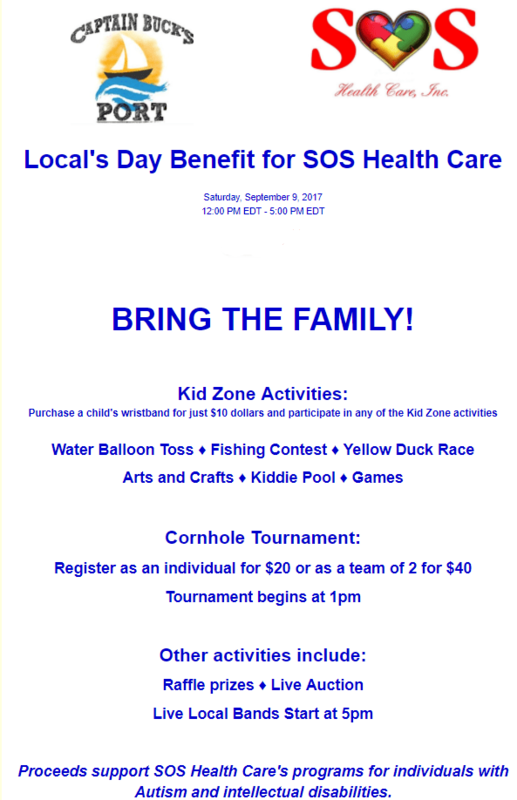 So mark your calendars and come out for a day of nonstop fun! April 2nd is Autism Awareness Day! 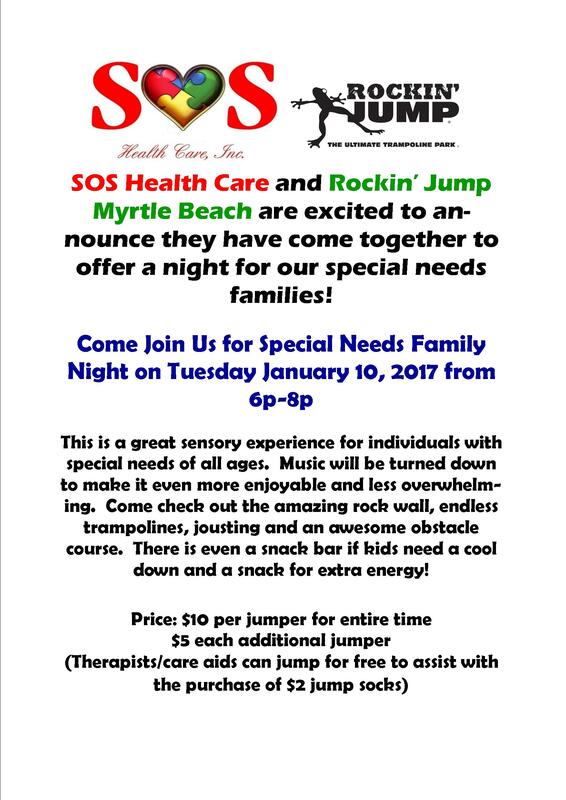 Join SOS in a celebration of individuals with Autism at Mon Café Japan. Wear something BLUE and join us for lunch or dinner. 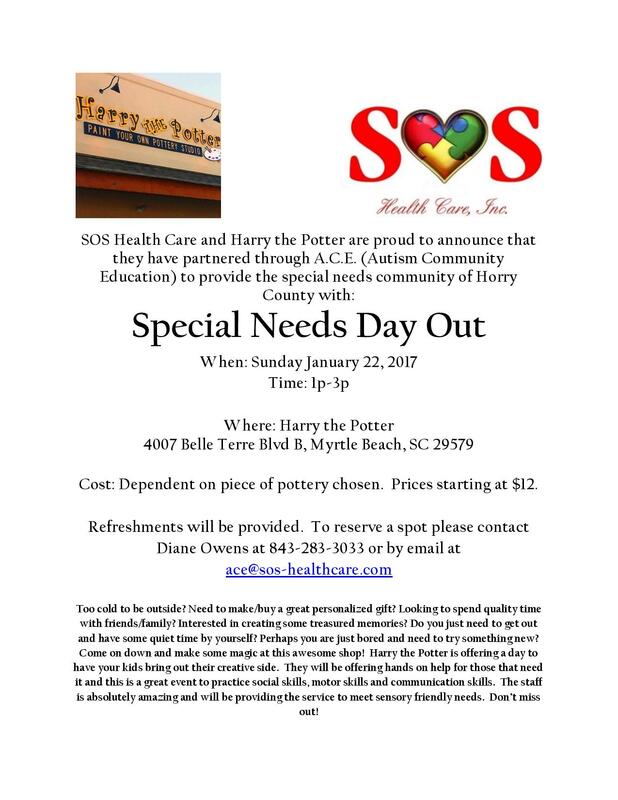 SOS will be on-site throughout the day to spread Autism Awareness and Acceptance. Mon Café will donate 20% of sales on April 2nd to SOS Health Care to support our programs. 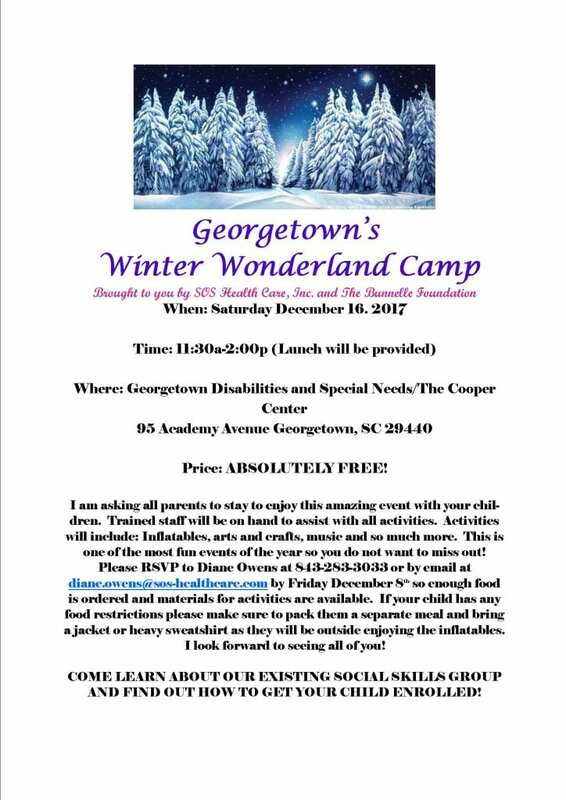 The individuals in our adult programs will be at the Holiday Bazaar on specific dates selling candles, sugar scrubs, cards, and soaps----all handmade by our individuals! 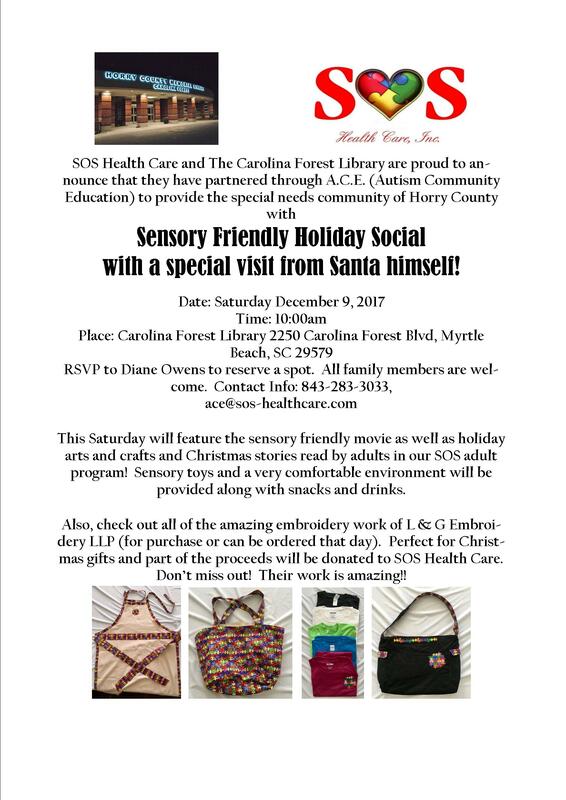 Email [email protected] for more information"
Sensory Friendly Holiday Social with a special visit from Santa himself! 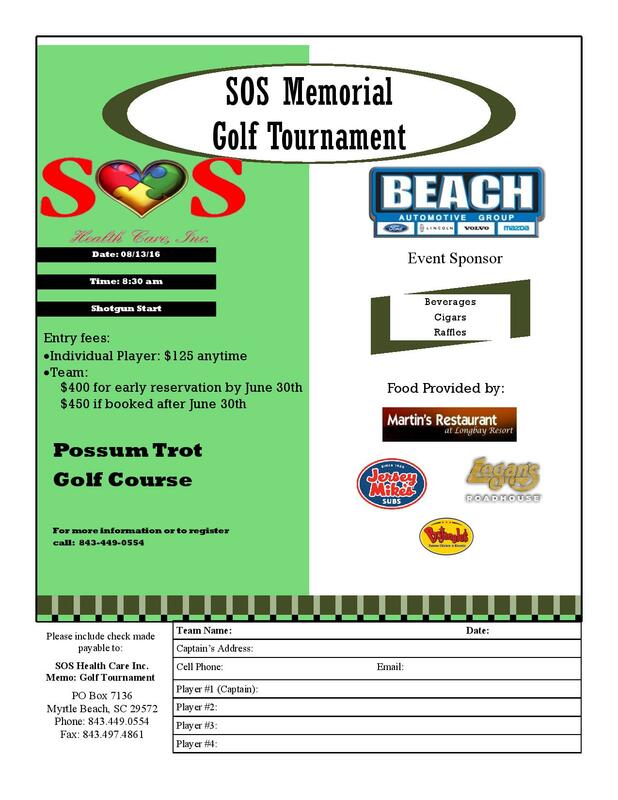 A Tidewater Charity Golf Tournament benefiting SOS and other charities. 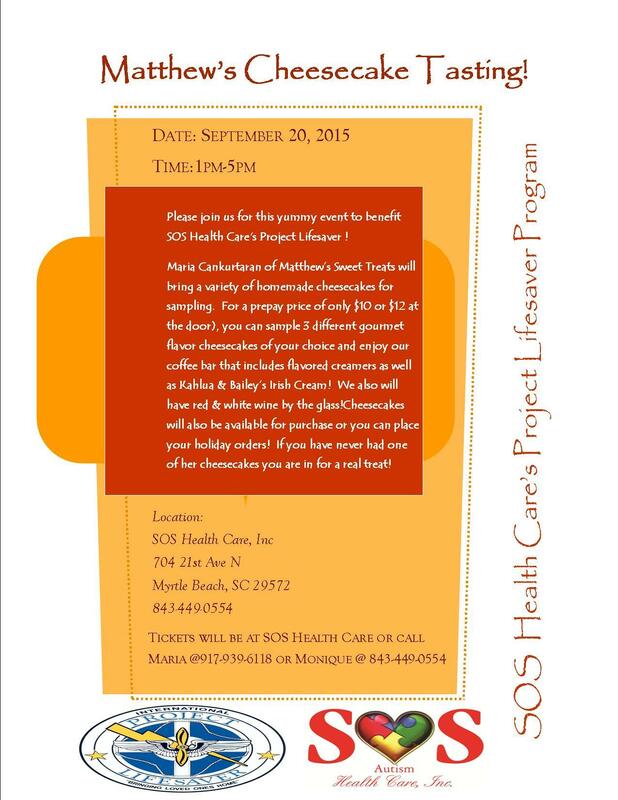 A portion of the proceeds will benefit SOS Health Care's Project Lifesaver program. 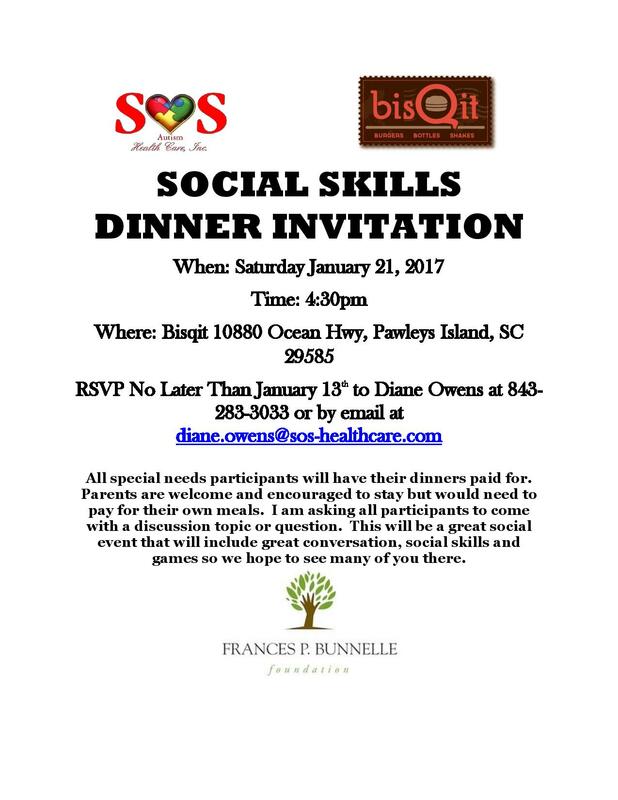 RSVP to Diane Owens at [email protected] or by phone or text at 843-283-3033. Seating will be limited so please make sure to reserve your spot as soon as possible. 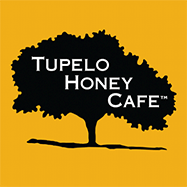 Tupelo Honey Café would like to offer to special needs families a night where couples can enjoy a nice meal while their children lounge on sensory mats and bean bags and enjoy a movie from a screen that drops from their ceiling. 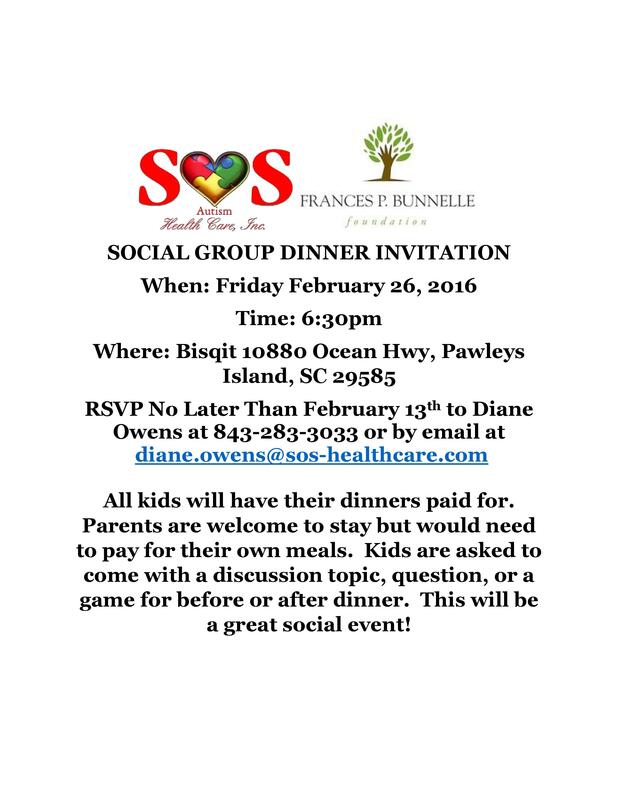 The meal will be buffet style with kid-friendly foods offered such as chicken fingers and french fries. Adults will be able to enjoy foods such as fried chicken and pork loin along with a variety of sides. Tables will line both walls and the center area will be a designated sensory area for children (mats, bean bags, sensory toys, puzzles, etc.). Parents will be able to keep and eye on their children and enjoy a nice meal at a great price. Restaurant staff will be on hand to assist as needed. Don’t miss out on this great opportunity parents. Start planning your perfect Market Common Date Night for Saturday April 29th! 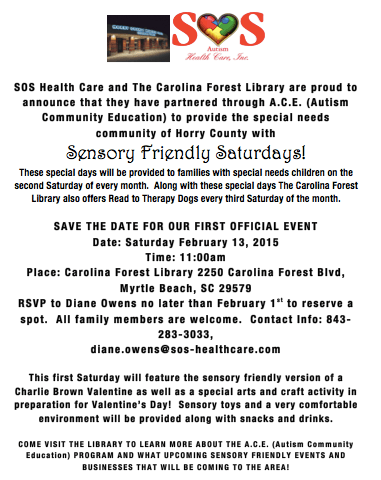 This Saturday will feature a sensory friendly movie and arts and crafts! 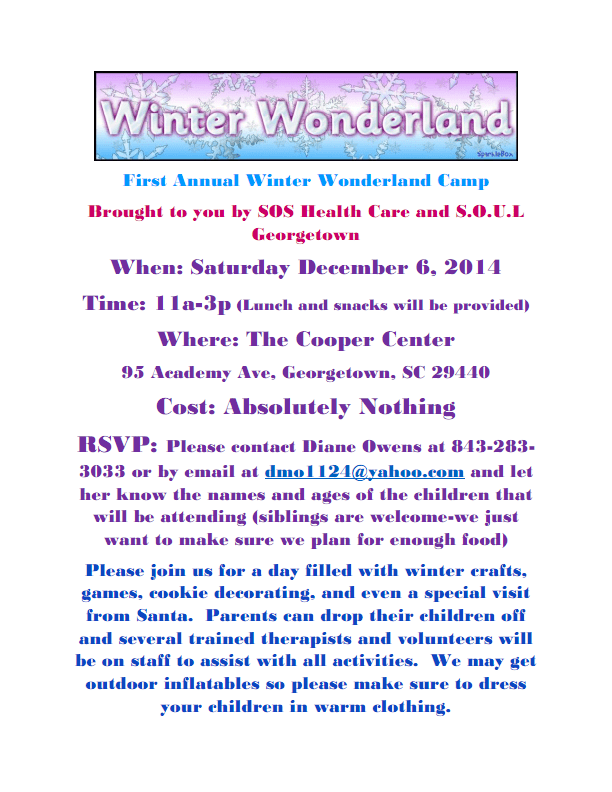 Sensory toys and a very comfortable environment will be provided along with snacks and drinks. COME VISIT THE LIBRARY TO LEARN MORE ABOUT THE A.C.E. 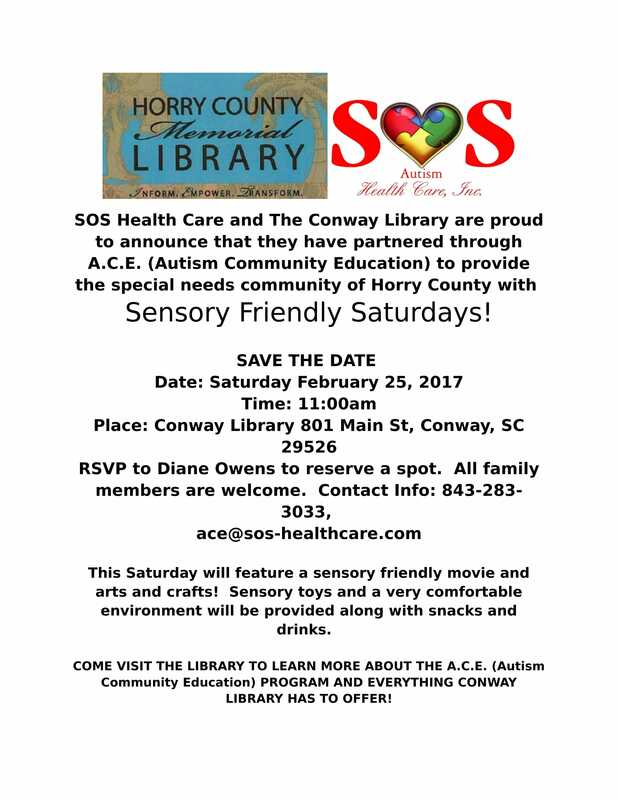 (Autism Community Education) PROGRAM AND EVERYTHING CONWAY LIBRARY HAS TO OFFER! 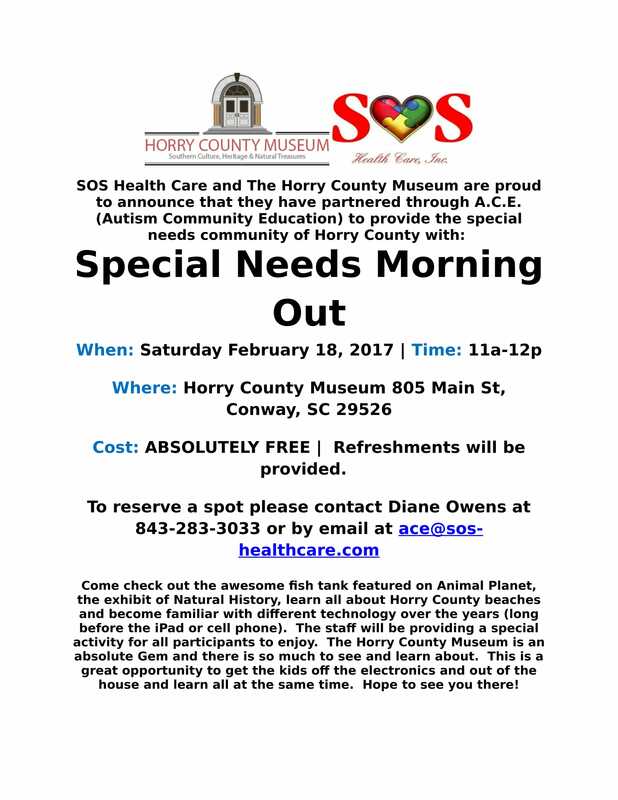 Come check out the awesome fish tank featured on Animal Planet, the exhibit of Natural History, learn all about Horry County beaches and become familiar with different technology over the years (long before the ipad or cell phone). 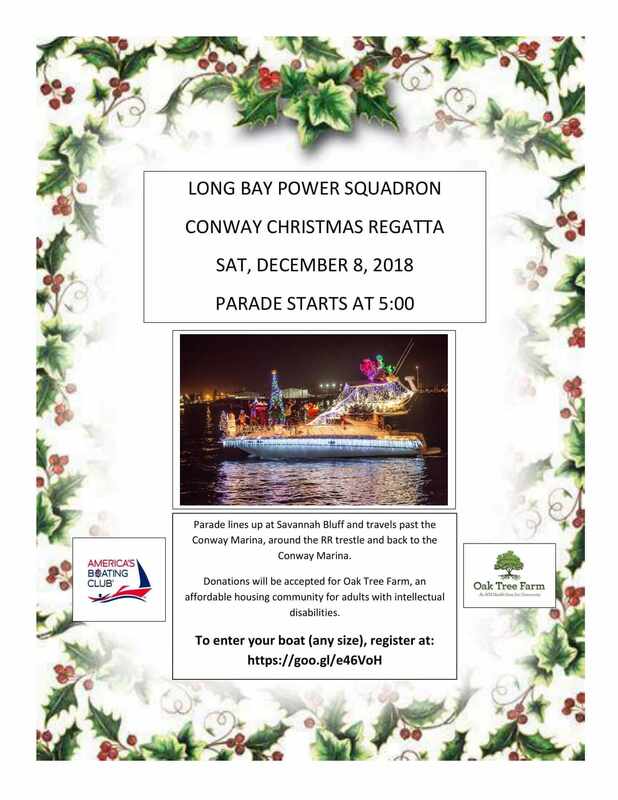 The staff will be providing a special activity for all participants to enjoy. 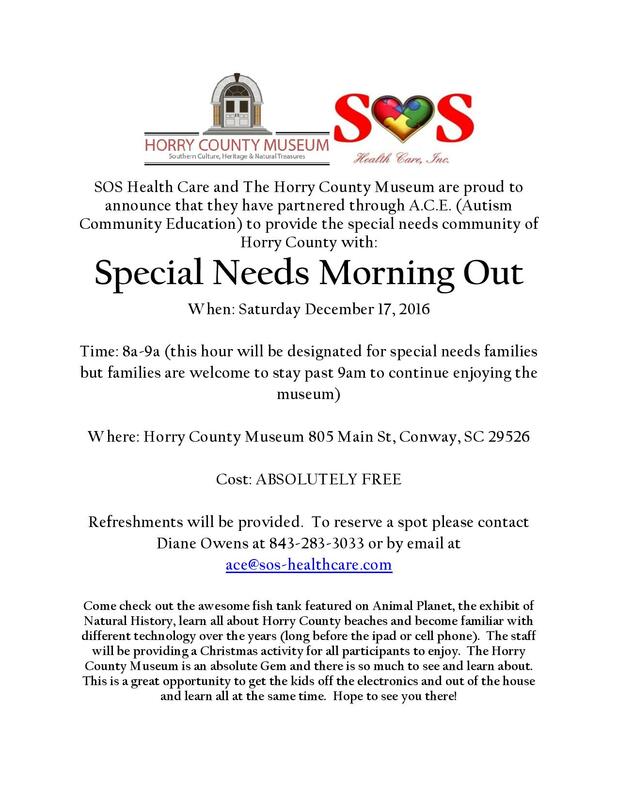 The Horry County Museum is an absolute Gem and there is so much to see and learn about. This is a great opportunity to get the kids off the electronics and out of the house and learn all at the same time. Hope to see you there! 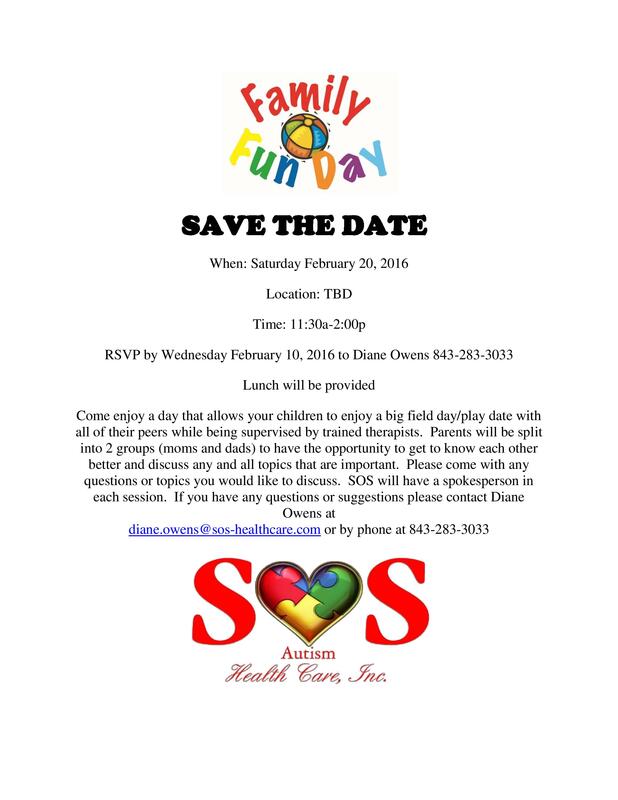 These special days will be provided to families with special needs children on the second Saturday of every month. This Saturday will feature the sensory friendly movie as well as arts and crafts! 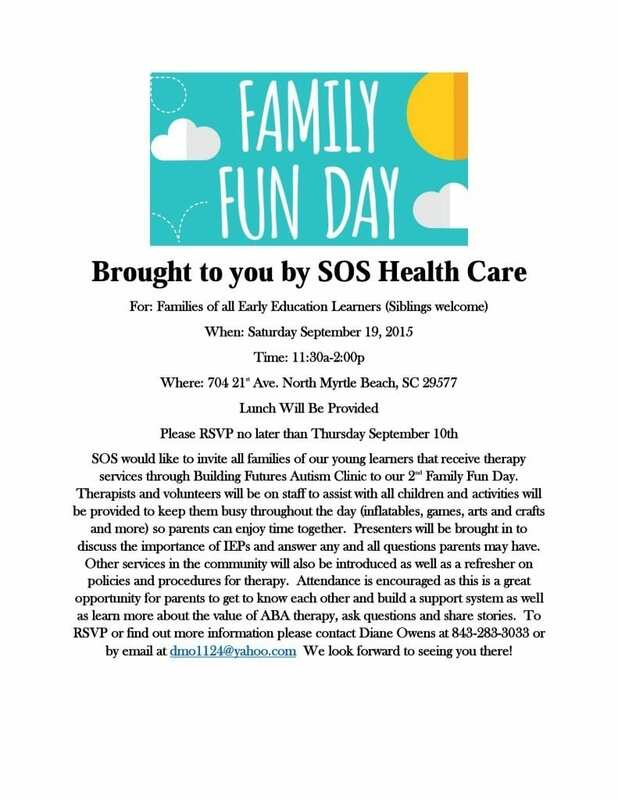 Sensory toys and a very comfortable environment will be provided along with snacks and drinks. 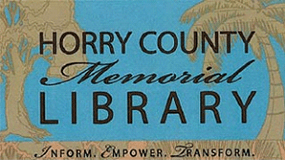 COME VISIT THE LIBRARY TO LEARN MORE ABOUT THE A.C.E. 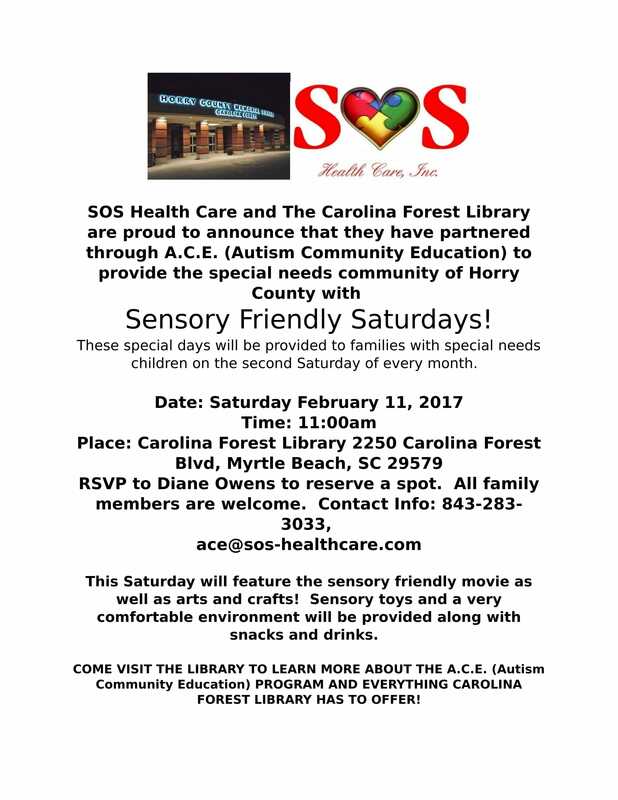 (Autism Community Education) PROGRAM AND EVERYTHING CAROLINA FOREST LIBRARY HAS TO OFFER! 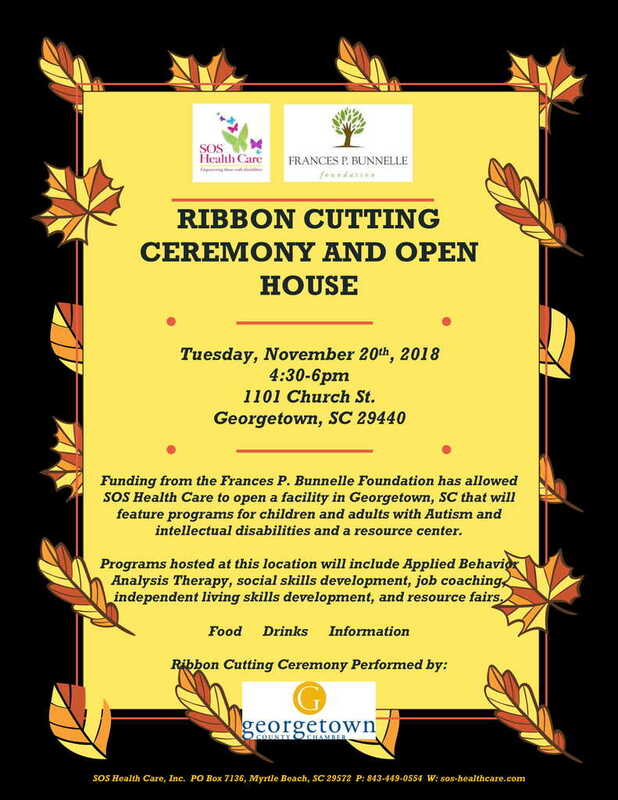 Funds support SOS’s new Life Skills Annex: The Annex will allow SOS to teach functional living skills such as using utensils, preparing a meal, washing dishes, and cleaning laundry to individuals with Autism and related disabilities. 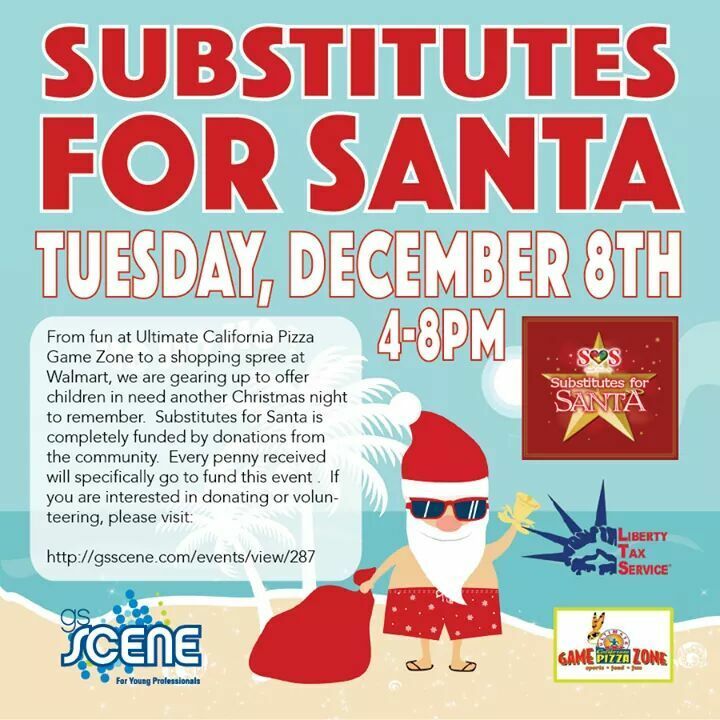 The annual Substitutes for Santa is helping children in need, and we need your help to make it a success! 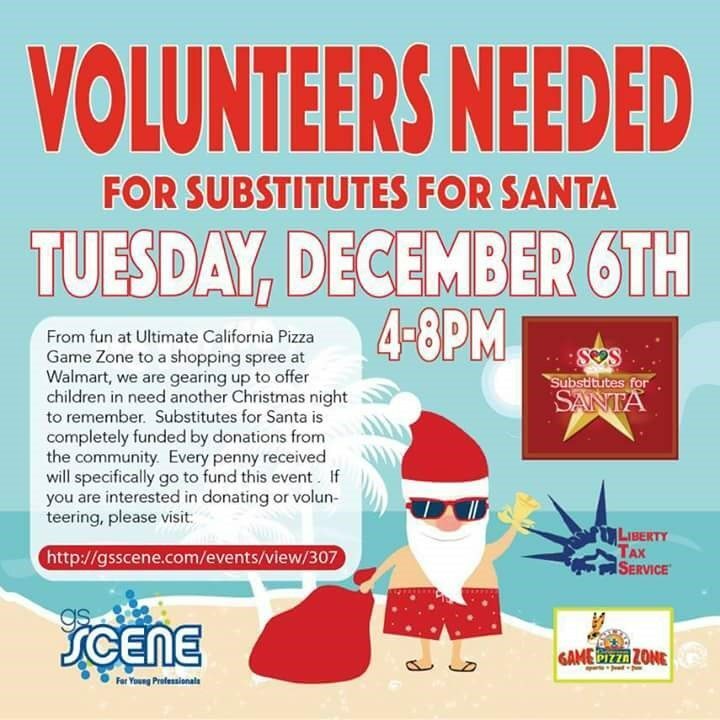 Go here to find out how to volunteer, donate money, or donate toiletries. The race begins at 8am. 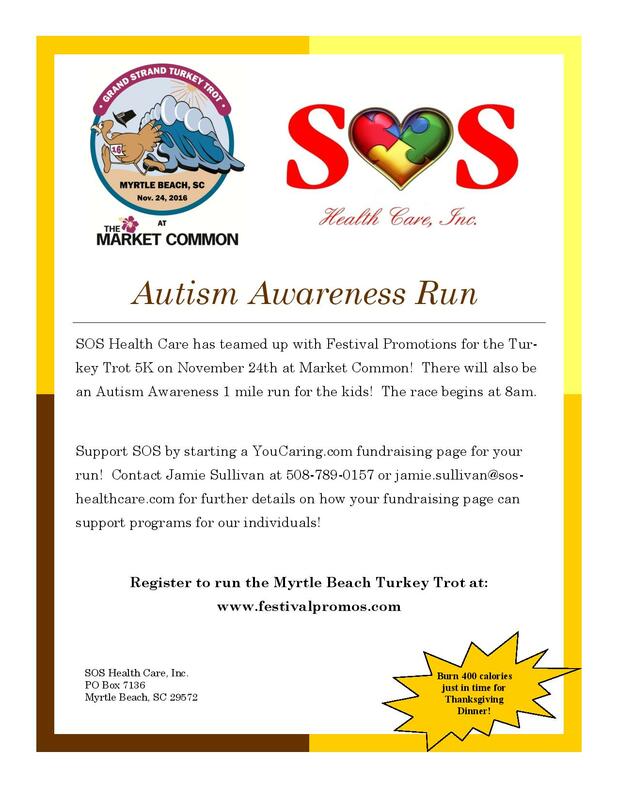 Use the coupon code AUTISM to register on www.festivalpromos.com. 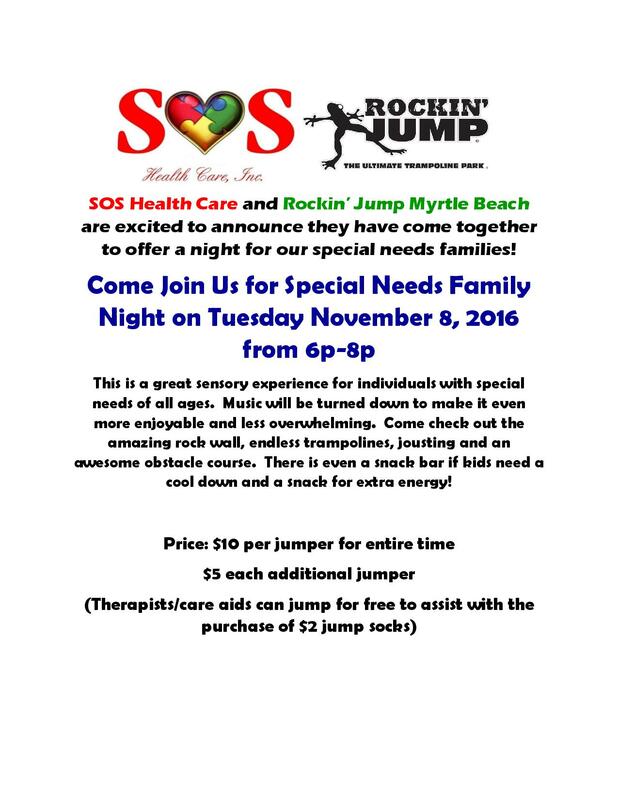 See flyer for more details about how your run can support SOS’s programs for Autism. 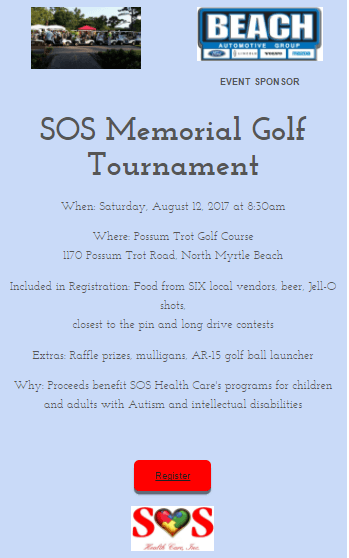 Wings for Autism is coming to Myrtle Beach, and the South Carolina Autism Society is proud to be a sponsor! Wings for Autism is an airport “rehearsal” specially designed for individuals with autism spectrum disorders. The program is designed to alleviate the stress that families who have a child with autism experience when flying. It provides families the opportunity to practice entering the airport, obtaining boarding passes, going through security and boarding a plane. Airport, airline, Transportation Security Administration professionals, and other personnel also have the opportunity to observe, interact, and deliver their services in a structured learning environment. 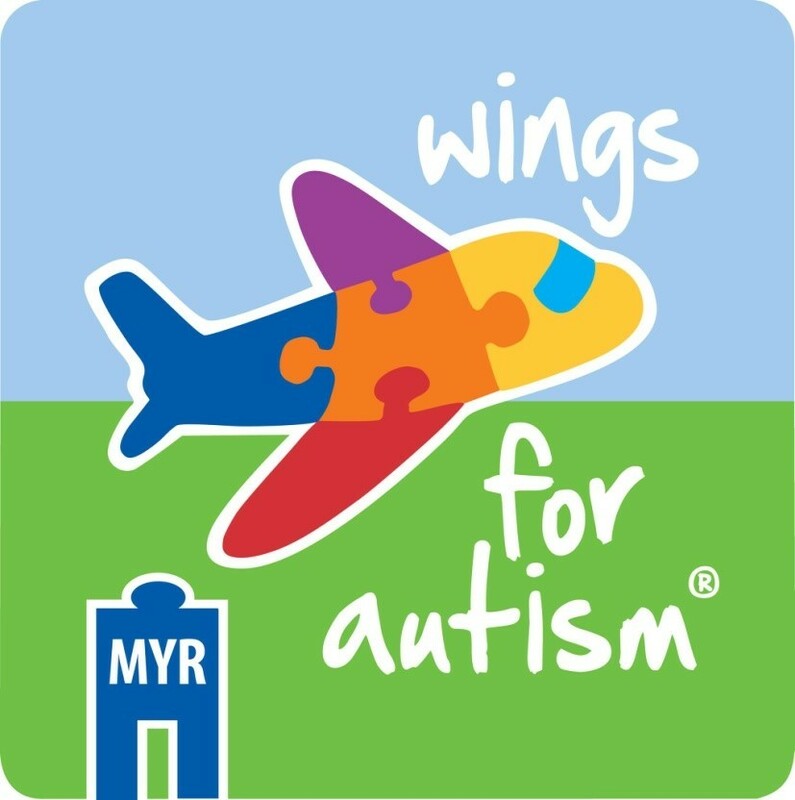 The Wings for Autism event will take place on November 12, 2016 at Myrtle Beach International Airport. The event will begin at 5:00 pm. Space is limited. 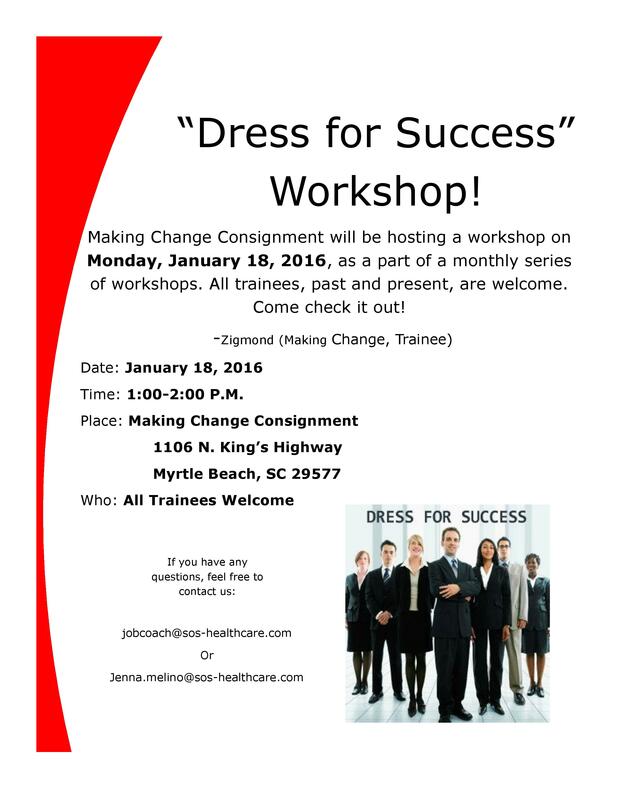 A total of 76 participants will be permitted to attend the event. 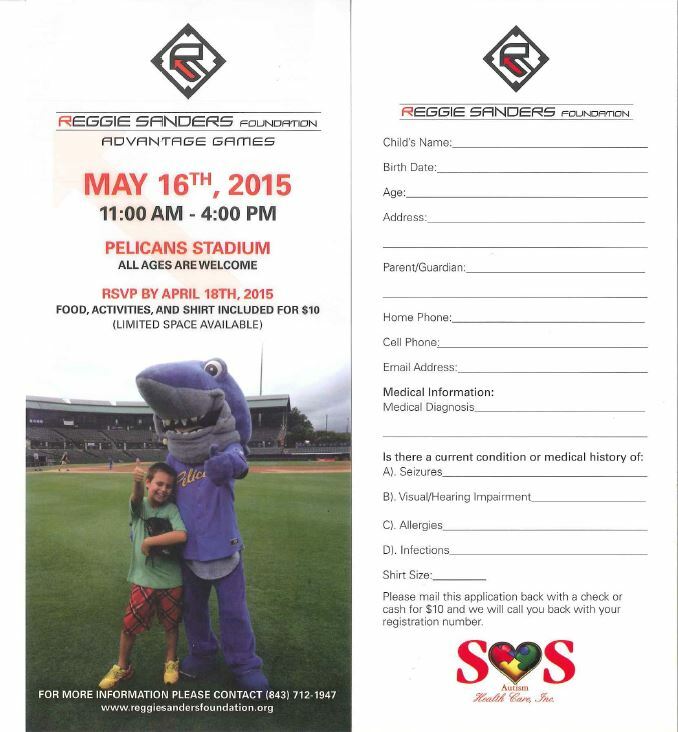 This registration form will allow one family member to accompany one individual with disabilities. If you have any questions about the event, please contact Megan Galloway ([email protected]). 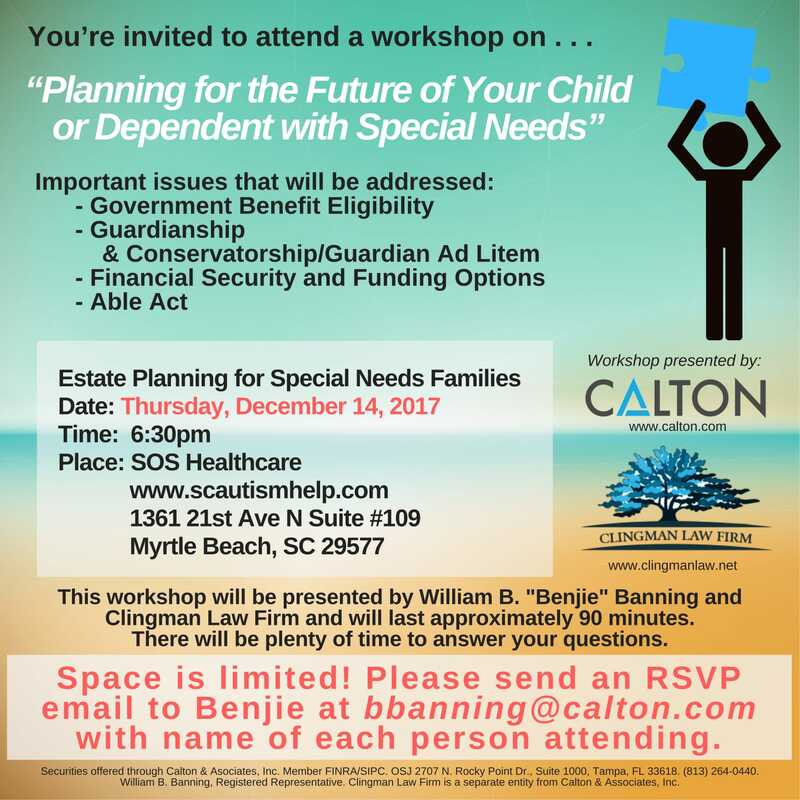 If you have any questions or need assistance with completing this form, please contact Phuong Nguyen at [email protected] or by phone at 202-600-3483. 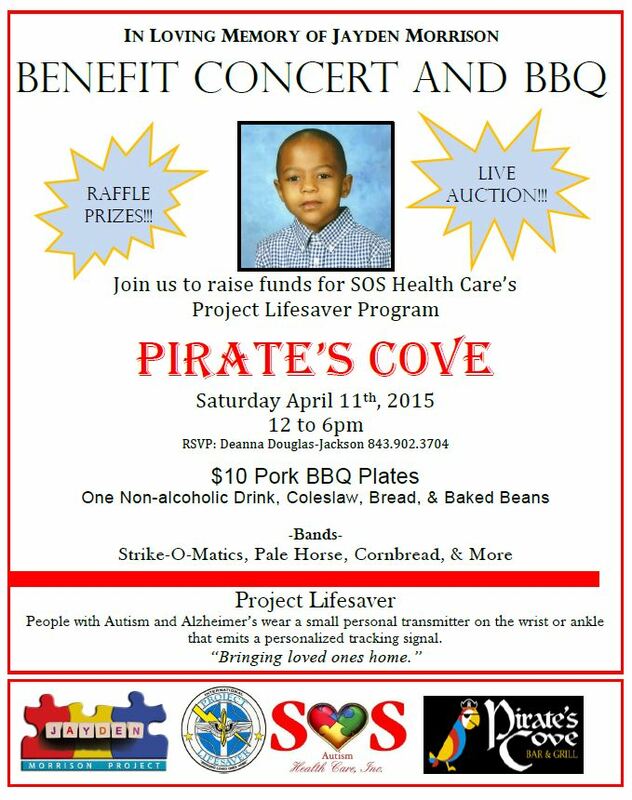 $5.00 entry fee to support Project Lifesaver! 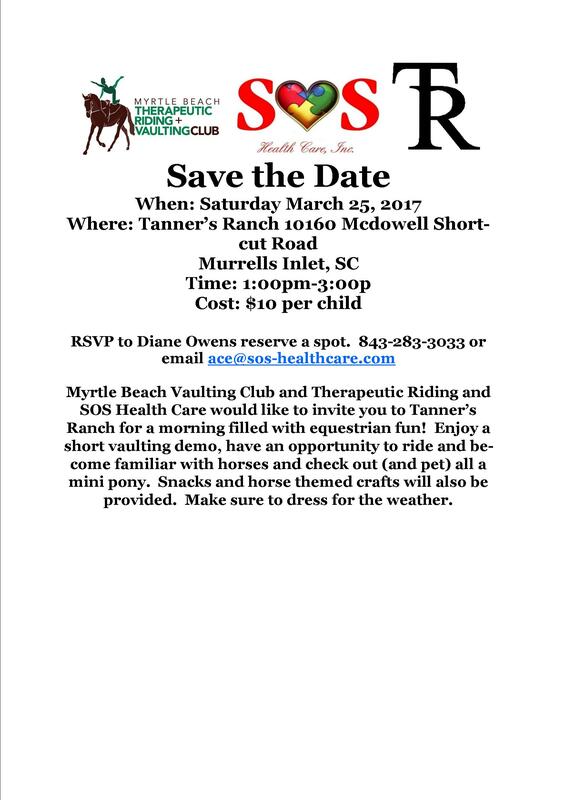 Myrtle Beach Vaulting Club and Therapeutic Riding and SOS Health Care would like to invite you to Tanner’s Ranch for a morning filled with equestrian fun! 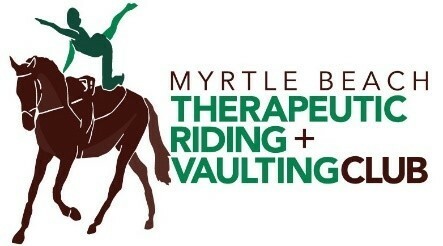 Enjoy a short vaulting demo, have an opportunity to ride and become familiar with horses and check out (and pet) all a mini pony. Snacks and horse themed crafts will also be provided. Physical-The patient improves his/her vertical and horizontal balance, muscle tone, improves motor coordination, experiences the independent movement of the pelvis and shoulders, which are essential for enable healthy walking habits. Riding provides the same upper body sensations as walking. Psychological-The patient feels a sense of general well-being, improved self-esteem and self-confidence. The therapy also helps to reduce feelings of insecurity and fear that in turn will help the patient gain more confidence in everyday life. Educational-Improves attention and concentration, essential qualities that any person should have for any area requiring educational skills. 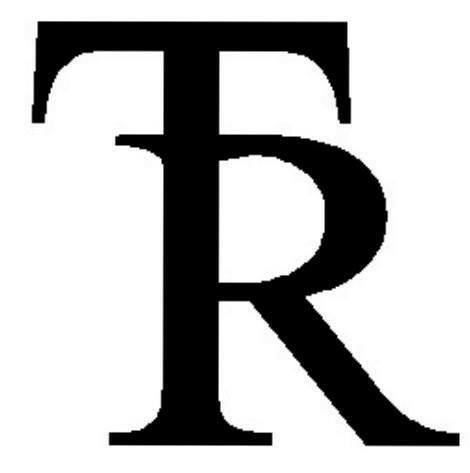 Overcoming the space-time domain presented by the therapy promotes thinking. Social-The therapy promotes the development of respect, responsibility, perseverance and loving toward animals. The positive attitude that the student acquires, improves family and social integration. This is a super fun event!! 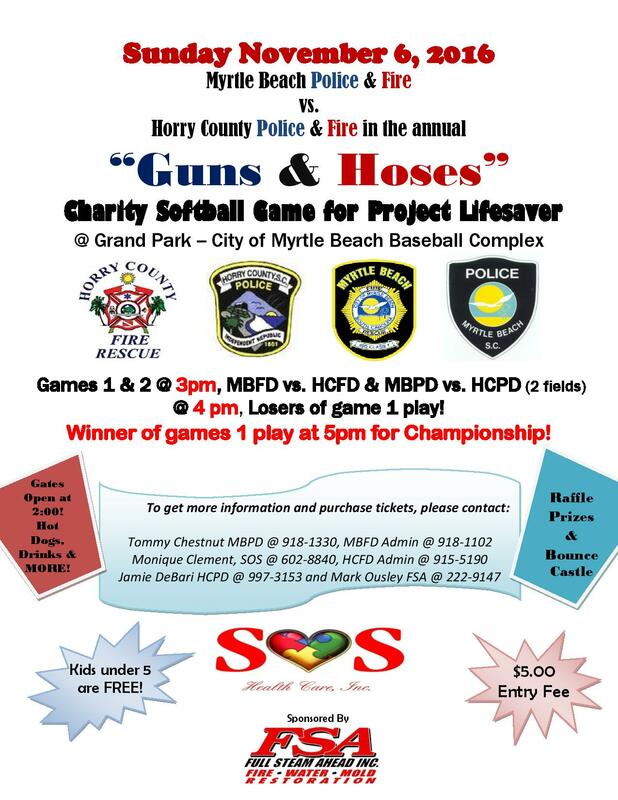 For more details about the Dirty Myrtle Run or to sign up to run, please click on the link below and thank you for all your support for our Project Lifesaver Program for Horry County! 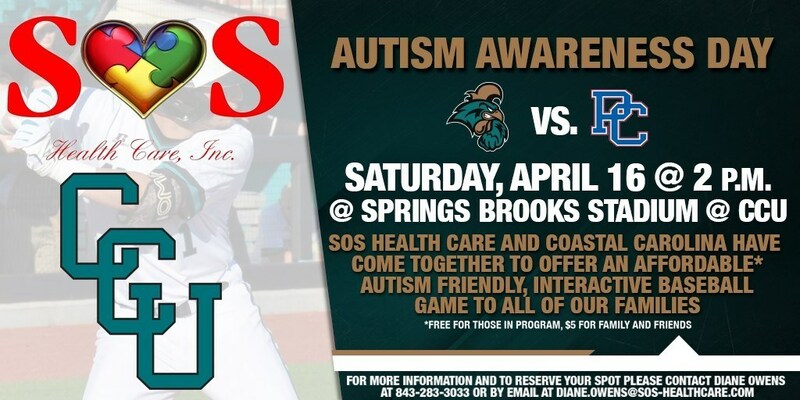 Come on out to the Autism Awareness Day Baseball Game at CCU! This ACE (Autism Community Education) event will be sensory friendly for individuals with Autism and related disabilities. The speakers will be turned down low, and left field will be blocked off for the kids to roam around and play games. 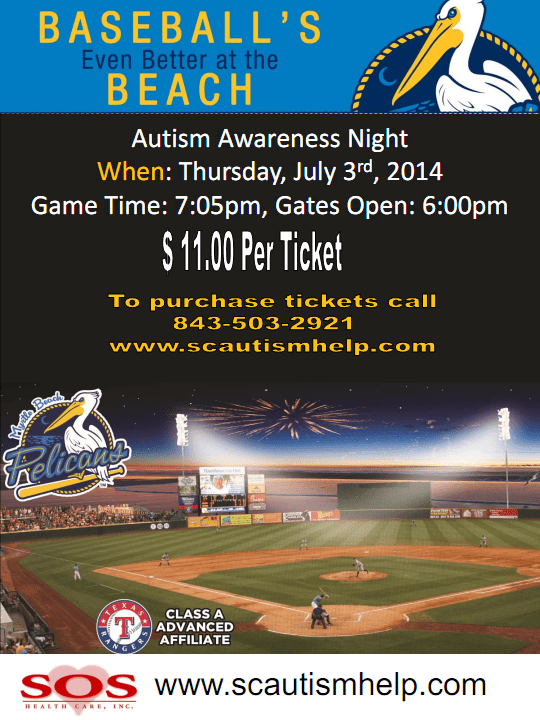 Arrive early to play catch with the players or get an autographed ball! 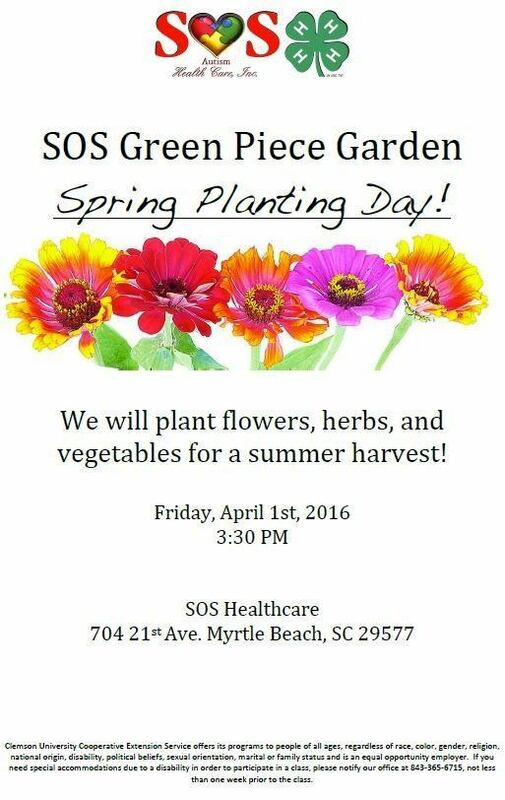 Join us on April 1st at 3:30pm for our Spring Planting Event. Children are welcome to plant and water seeds for our new harvest. Meet the gardeners and learn more about our Green Piece Garden Project and the local vendors we supply. 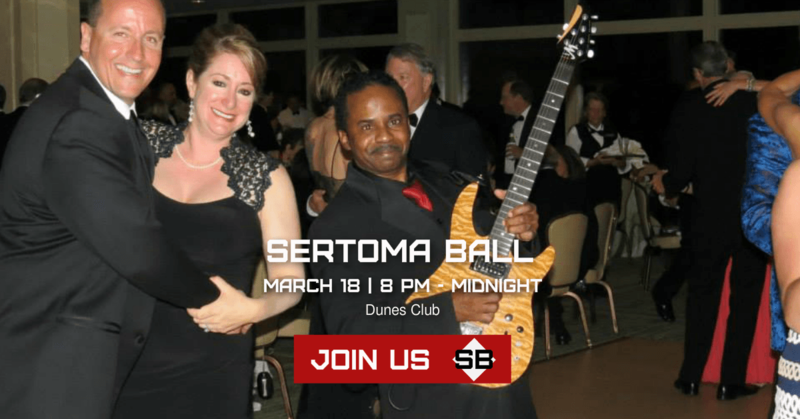 Funds support SOS Health Care and Sertoma Charities. 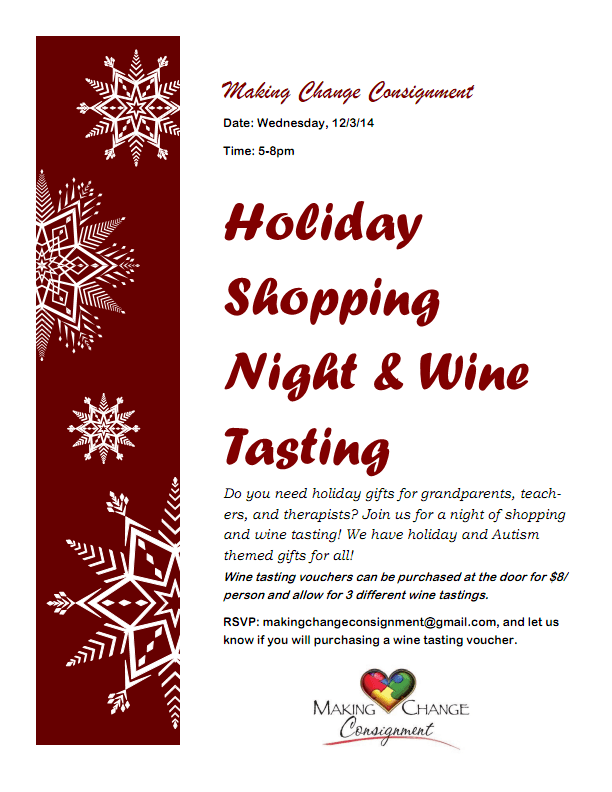 A special Christmas night of fun and shopping! 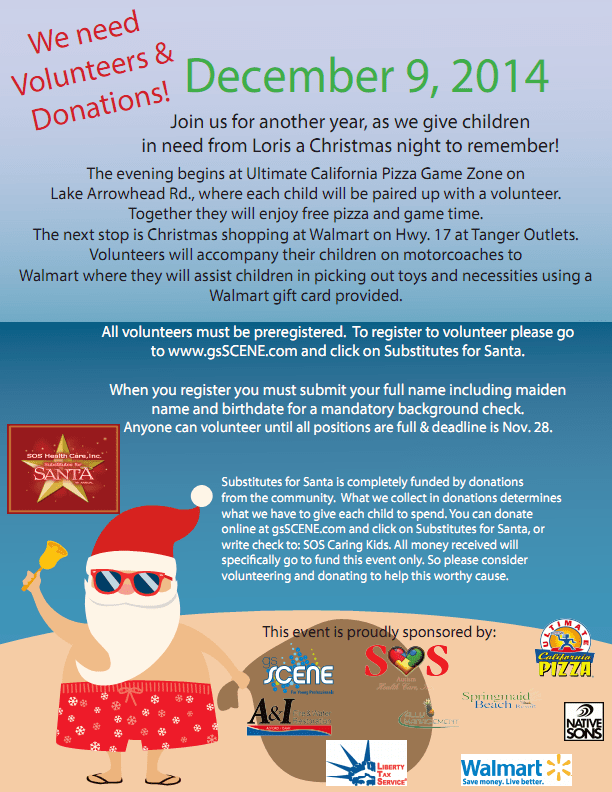 Our goal is to raise enough money to take 100 kids shopping and give them $100 to spend. 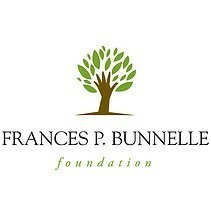 A quarter of their money goes towards necessities (shoes, undergarments, etc.) the balance can be spent on themselves or gifts for family. We are not sure who is blessed more, the l or the volunteers! 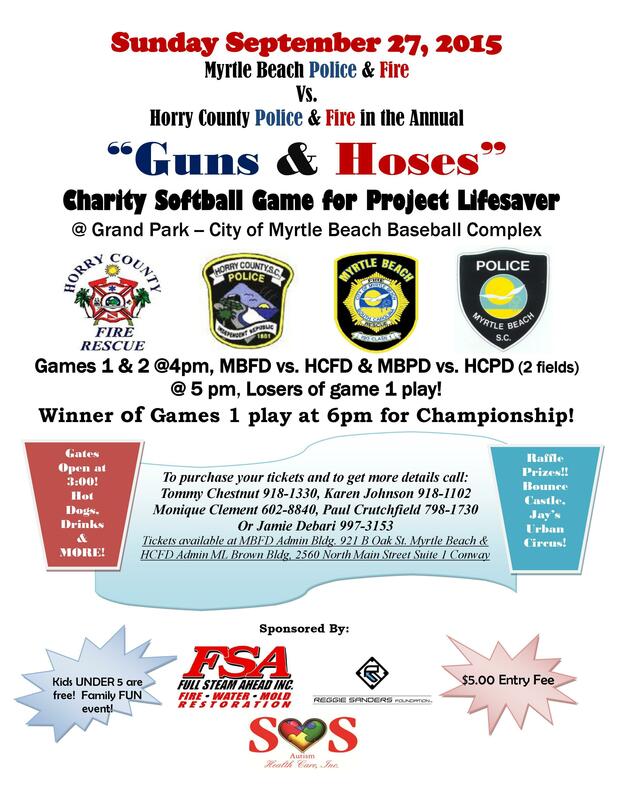 The Myrtle Beach Police Department faces the Myrtle Beach Fire Department in this annual softball game! 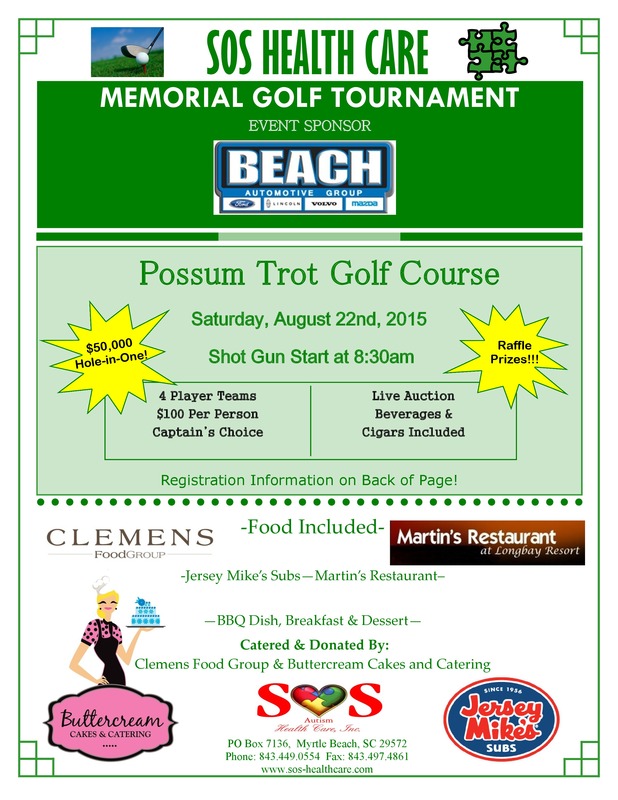 This annual golf tournament features live rock and roll and the T&A Morning Show!